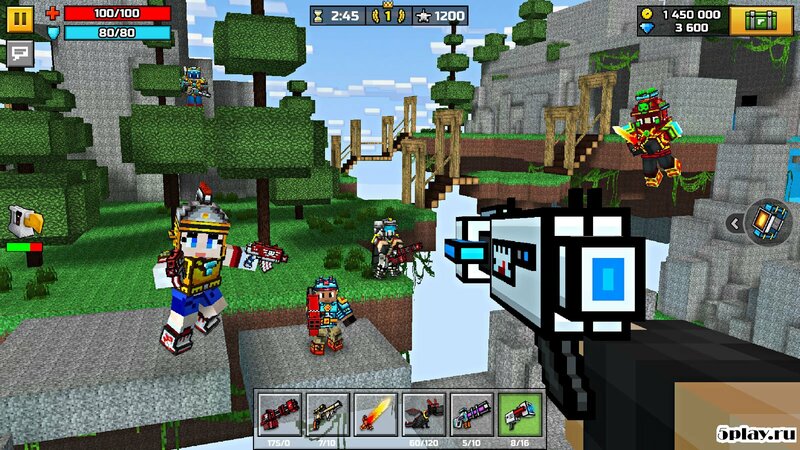 Pixel Gun 3D - the original shooter on android. 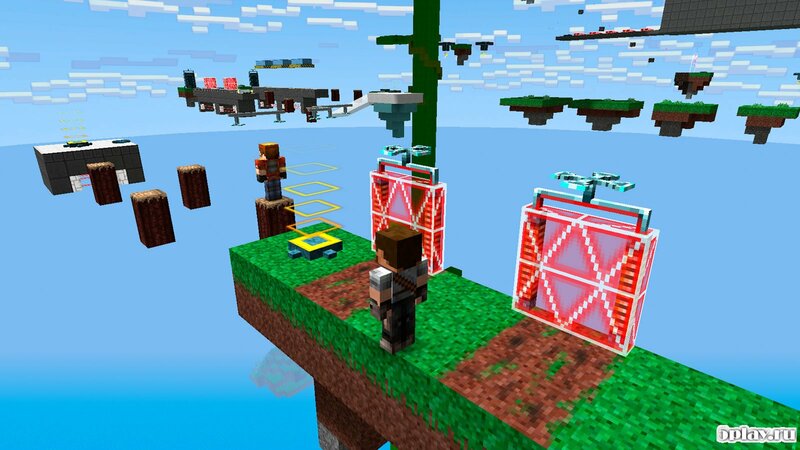 Its peculiarity lies in the fact that visually the game resembles the notorious Minecraft Pocket Edition. The interface and all game elements are made in a square-cubic style, including characters and weapons. This is the first project of RiliSoft Ltd, which, moreover, immediately won great popularity among mobile gamers. The gameplay is reminiscent of the old-good Counter Strike. The players are divided into two teams and transferred to the card on which the battles are fought. The team that wins more enemies wins. The player should explore the locations, search for enemies and destroy them at the first opportunity. A game currency is awarded for the victory and experience is given, which is necessary to obtain the level. 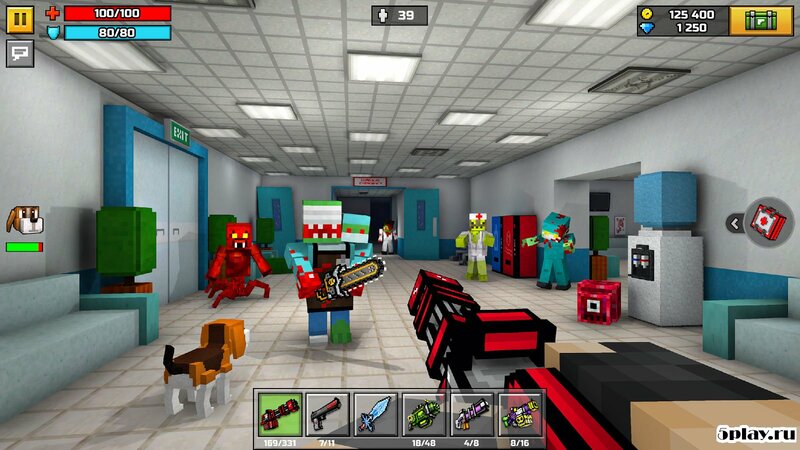 In Pixel Gun 3D a large number of locations. To connect to the game, just select the map you like and see if there are currently available seats. Initially, the protagonist has only a knife, a pistol and a gun. In the future, you can purchase new ammunition and other improvements in a special game store. In addition to the command mode, there is also a cooperative in which the generated group of players collides face to face with crowds of bloodthirsty monsters. Management in the game is intuitive, but not the most convenient. The virtual joystick on the left is quite responsive, and it's convenient to manage the movement in principle. The right side looks too loaded, and on small diagonals while conducting fire and bends, you can accidentally switch to grenades, which can lead to the death of the main character. 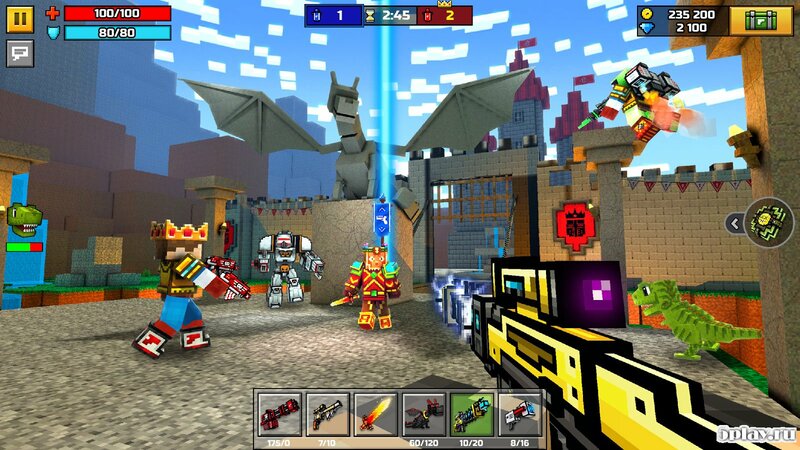 In general, Pixel Gun 3D is a worthy representative of its category. Thoughtful character development, many levels and Death Match mode will please fans of old school shooters. What is the mod root?